Galilean Nights is supported by the hard work of many people around the world. 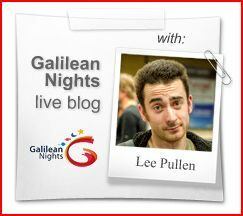 The expertise and knowledge of our partners is key to ensuring the success of Galilean Nights. Find out more about them from their web sites and see what they have to offer. Astronomers Without Borders is people meeting among the stars. It is only natural to do so. After all, we all share the same sky. The star-filled sky fascinates us all. People have gazed upward at it in wonder and awe for thousands of years. Regardless of earthly differences in culture, nationality or religion, the night sky is a common meeting ground for all of Earth's inhabitants. The boundaries we place between us vanish when we look skyward. Whoever, whatever or wherever we are, we all share the same sky. The Cosmic Diary is one of the eleven Cornerstone projects of the IYA2009. This project is not just about astronomy. It's more about what it is like to be an astronomer. It's a collection of blogs which aims to put a human face on astronomy. Professional scientists blog in text and images about their lives, families, friends, hobbies and interests, as well as their work, latest research findings, and the challenges that face them. The Europlanet Research Infrastructure links more than 100 laboratories in Europe and around the world. The project aims to help planetary scientists get the best out of their research into the Solar System by organising networking activities, meetings and conferences, providing access to laboratories and field sites in Europe, developing new facilities and field sites and creating online access to planetary science data. 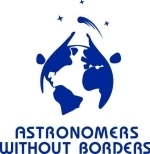 EurAstro is an informal, nonprofit association for professional and amateur astronomers, based in Munich, Germany. EurAstro was created in 1998. Many active EurAstro members work with the European Patent Office (EPO) in Munich. The EPO has a social and cultural committee called the Amicale, which comprises a number of clubs such as the EPO Astro Club Munich (ASTRO for short) and the Amicale Astronomy Club (AAC) in The Hague. ESO, the European Southern Observatory is the European Organisation for Astronomcial Research in the Southern Hemisphere. It builds and operates a suite of the world's most advanced ground-based astronomical telescopes. Created in 1962, ESO provides state of the art research facilities to European astronomers and is supported by Austria, Belgium, the Czech Republic, Denmark, Finland, France, Germany, Italy, the Netherlands, Portugal, Spain, Sweden, Switzerland and the United Kingdom. Founded in 1968 by John Dobson, The Sidewalk Astronomers group (SWA) now has many members around the world. The primary goal of organisation is to give people a chance to observe celestial objects through good-sized telescopes and to provide information concerning all areas of Astronomy. SWA groups set up telescopes in busy places where people are likely to be passing by in order to share the wonders of the night sky to all those interested. The most amazing, high quality, dynamic and realistic stargazing guide on Earth. It simply makes astronomy easy for everybody. Observe the stars, planets, constellations, meteors showers and all sky objects from your favourite place on earth. No matter where you are or where you would like to be, with the new earth view feature in Star Walk you can choose where to be! Star Walk new edition offers a 3D view of the earth with which you can choose and change at your leisure your stars spotting points.